Being in the firewood business brings us joy for many reasons, one of them being able to contribute to delicious Texas style BBQ. 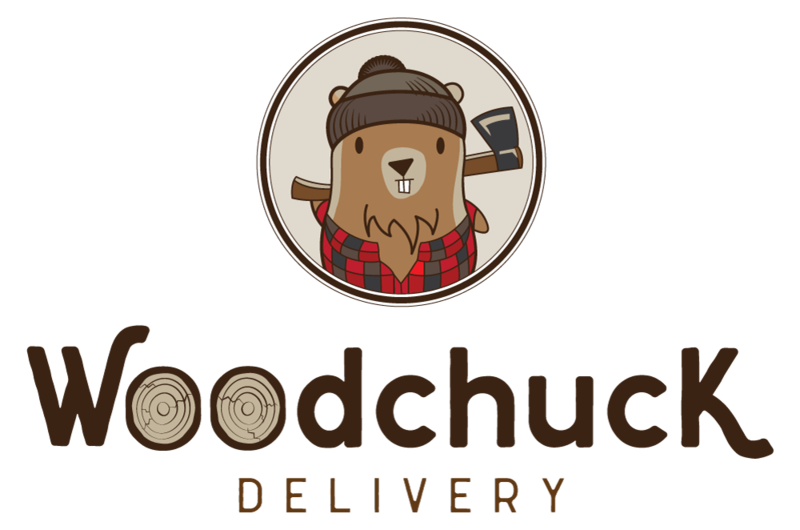 A lot of our clients order our Post Oak, Pecan, Mesquite and Hickory for their barbecuing needs. While the type of wood you use for BBQ definitely attributes to the flavor, there are other factors that play a big part, especially when you’re smoking brisket. 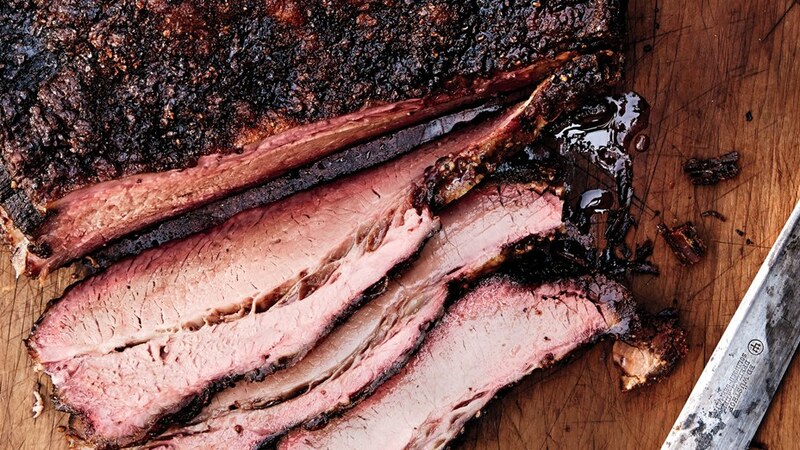 Brisket is more than just a cut of beef that is delicious when smoked. Brisket is the muscle along the chest of the cow. It does a lot of work! That is part of what makes it a unique cut of meat that is perfect for slow cooking. The muscle is marbled with fat and the smoke turns all of that into a delicious, tender meal. You can buy small briskets for oven roasting easily but if you want a full brisket, you will have to put it a request with your local butcher. 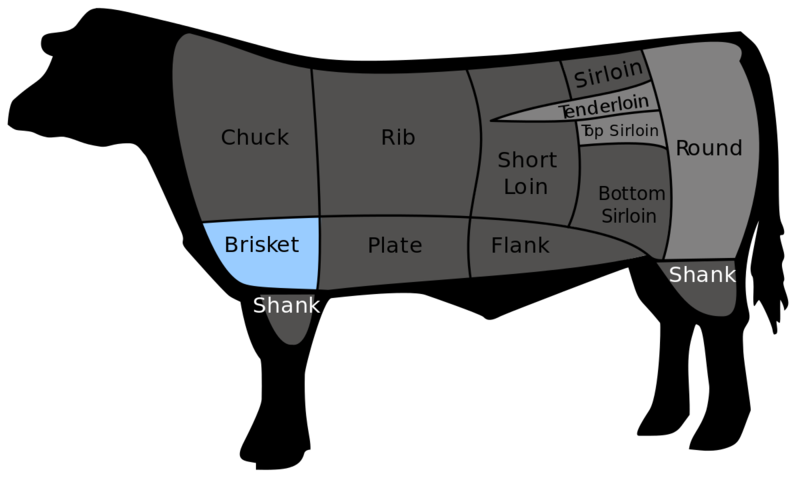 A full brisket is two muscles that overlap, the point and the flat. The point is marbled and fatty and the flat is uniform in shape with little marbling. This combination makes the brisket we Texans know and love. Make note to ask your butcher for a packer’s cut. The packer’s cut is untrimmed, well marbled and has a quarter inch fat cap to absorb all of the amazing juices. Also, if you are having a party, be sure to plan for about a half pound per guest. How do you smoke this beautiful cut of meat? First, of course, is the firewood! You can read about our different types of wood here . This will help you pick which one meets what you are looking for. Any BBQ expert will tell you that the wood makes all of the difference. They will also tell you to NEVER use conifer trees like cedar, pine, spruce, etc… These release a resin that is less than savory while smoking meats. Stick with hardwoods like we offer! 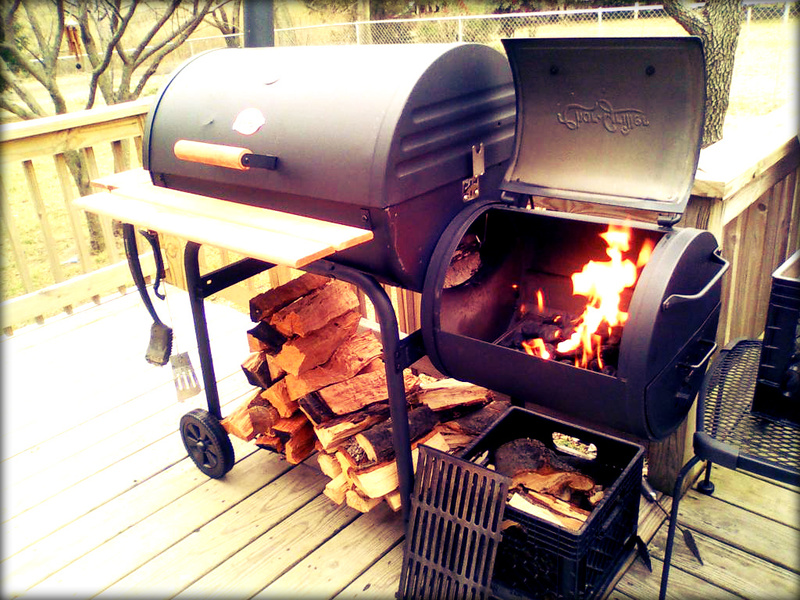 Once you have your brisket and your firewood, it’s time to get started. If you were unable to get a packer’s cut brisket, have no fear. You can trim it yourself. You will smooth out the sides first. After that, make sure any excess pieces of fat or meat are trimmed off as they can burn while cooking. Next, cut the chunk of fat on the point off. Then remove any thick, shiny skin. Last, trip your fat cap to one quarter to one half an inch thick. Now you’re ready to season! Luckily, seasoning brisket is the easiest step. Brisket is one of those meats that tastes amazing without a lot of different seasonings added. All you will really need is coarse salt along with coarse pepper. That’s it! Just rub both of these all over the brisket and you’re done seasoning. This, very, simple rub will allow the beef and smoke flavor to shine. The next step is prepping your grill or smoker. Depending on which one you use will affect the next steps. If you are using a grill, you will be using direct heat. You will need wood chips soaked in water, or fruit juice for an additional layer of flavor. Once those are soaked, you can start your coals. When the coals become embers you will want to add your soaked wood chips. This will provide the smoke you want. You will want the temperature between 200 – 250 degrees fahrenheit. Continue to add both dry and soaked wood chips to keep the temperature consistent. Make sure you allow 1.5 to 2 hours per pound for cook time for this method. The alternative is cooking on indirect heat, or more commonly known as using a smoker. Heat can easily escape from smokers so be sure to open it as little as possible. Your temperature will need to be somewhere between 250 to 325 degrees fahrenheit with a cook time of 60 to 90 minutes. Regardless of which method you use, you will want to wrap your brisket about ¾ of the way through total cook time. You can use foil or peach butcher paper. If you use butcher paper, you’ll want to wrap the entire brisket. If you use foil, you’ll only want to cover the bottom. This helps prevent the smoke from totally overpowering the meat. This also helps create the perfect bark, the delicious crust that has formed around your brisket. Once your brisket has reached an internal temperature of 180 degrees fahrenheit, it is time to take it off of the grill or smoker and let it rest. Ah yes, the hardest part about cooking something so delicious! Letting it sit and rest and it taunts you with its amazing aromas. A full brisket needs to rest for at least an hour. This will help keep in all of the yummy juices and keep the brisket moist. After the agonizing hour of resting, it is finally time to slice into that beauty! You will need a smooth serrated knife because it won’t tear the meat. 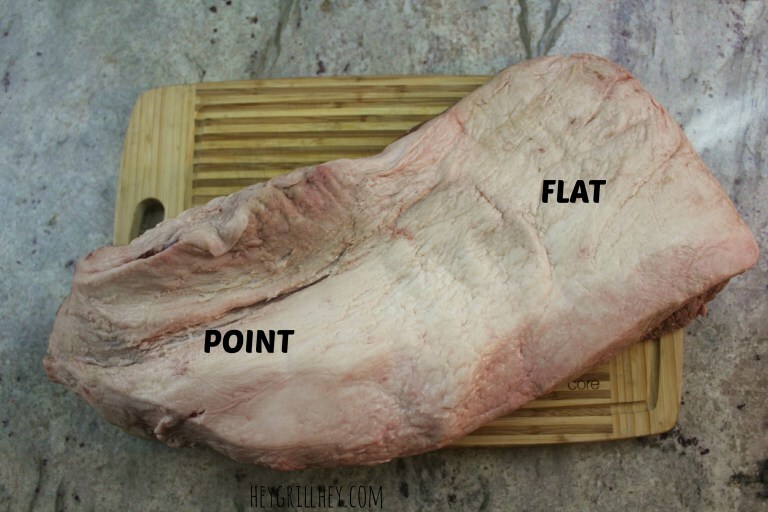 You will want to cut the brisket in half so the point and flat will be separate. Cut the flat first because the muscle of the flat all runs the same, making it easy to cut against the grain. Next you will cut the point in half, opposite of the first cut. This will give you some insight as to where the grain is and how to proceed with slicing, cutting against the grain again. Once this is done, it is FINALLY time to serve. The absolute best part of smoking a brisket. Your guests will be impressed with the feast you prepared for them. If we were you, we’d plan for everyone to have a second helping! All you have to do is follow these simple steps to smoke a brisket and you’ll become an experienced pitmaster in no time!